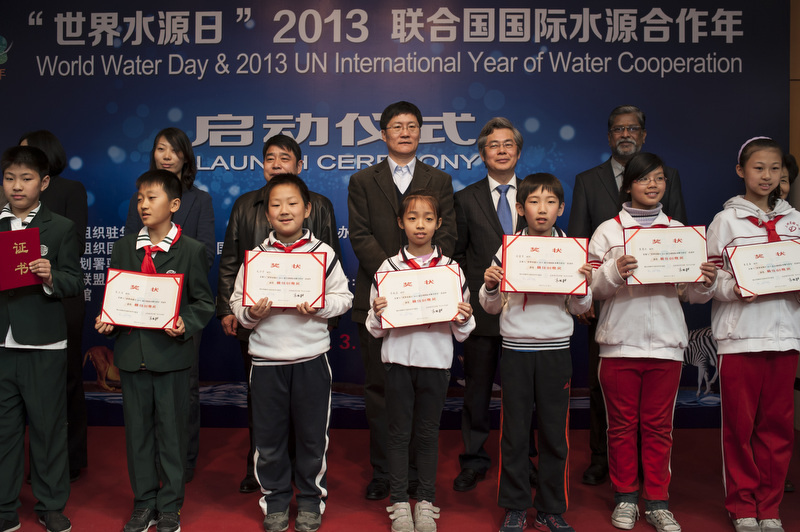 On the morning of March 22, in order to celebrate the twenty-first World Water Day, the launching ceremony of the 2013 International Year of Water Cooperation was held at Beijing Jintai Art Museum. 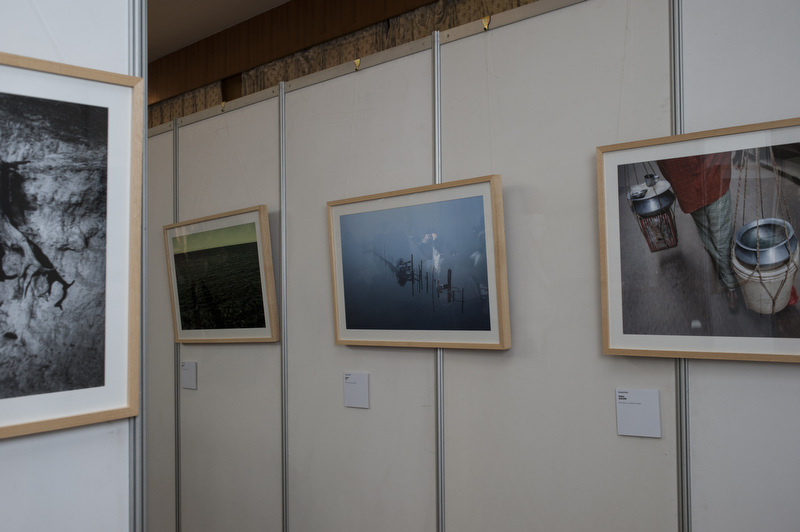 The event was co-hosted by UNESCO Beijing Office, UNESCO IHP Chinese National Committee, the United Nations Environment Programme (UNEP), International Union for Conservation of Nature(IUCN) and Beijing Jintai Art Museum. 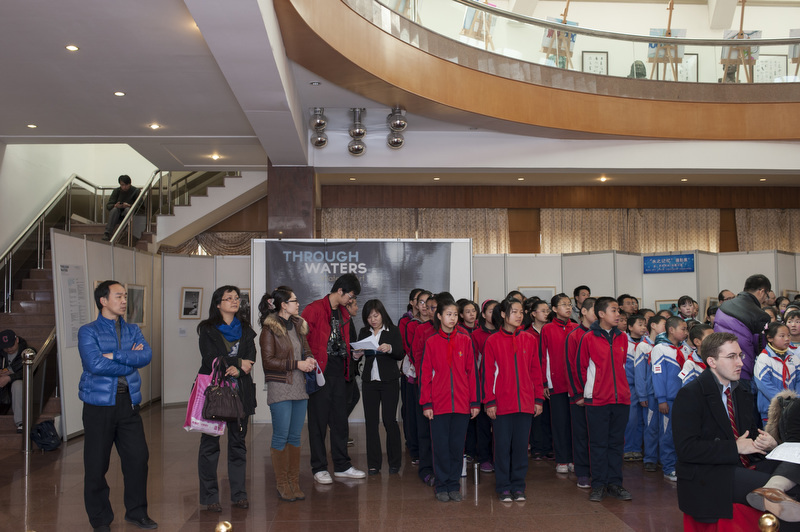 The event was co-organized by the Beijing Jintai Art Museum-Champion of Water Alliance, Shangri-la Institute, Through Waters, Supporting organizations including Peking University Water Center, Veolia Environmental Services, THIRST and Golden State Environment Group Corporation. 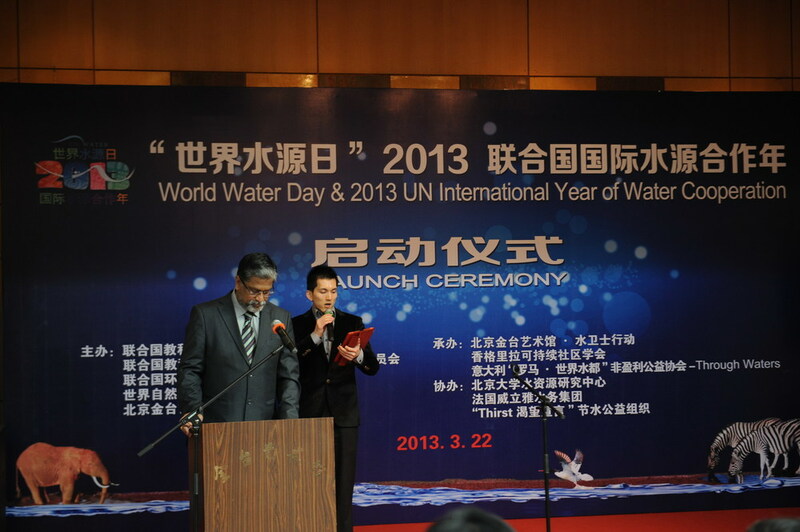 The event started with the poetry “Water” presented by students from Fangcaodi International Century Elementary school. 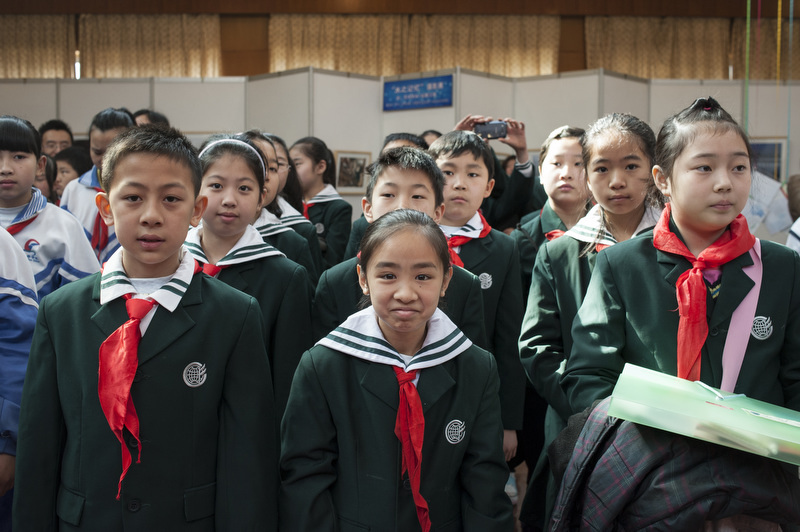 Representatives from different international organizations, corporates, schools joined the force to sign on the signing board, including representatives from China Soong Ching Ling Foundation and All-China Youth Federation. During “Water Footprint Puzzle” installation, we created a big integrated picture of Jeans, T-Shirt and burger. The big picture consists of 35 small drawing boards, we distribute small boards to 60 students, and put them together after students finish. After the assembling, people could see how much water we consume through the manufacturing and production process. This ‘learning by doing’ experience will inspire and motivate students to be creative and learn the knowledge about water. During “Wash a with a bucket of water” activity, Dr. Jayakumar, Dr. Liu Heng and Mr.Henry Yuan wash cars with 5 family groups from different schools. This event is also advocates parental engagement to water protection. 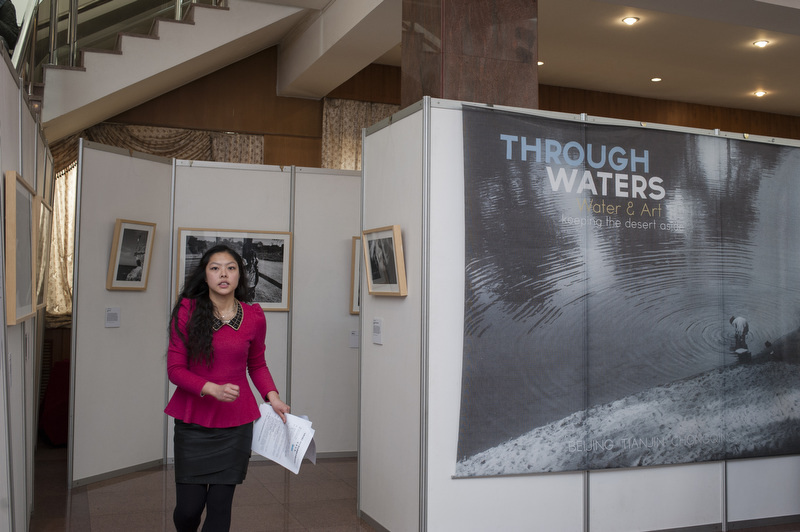 During the event, water-related videos presented by different organizations are shown along with the water photography exhibit from Through Waters. Videos cover different forms of water and are produced by UNESCO, Champion of Water Alliance, Through Waters, China Business News, Wild Aid and Thirst. This event aims to enhance public awareness of the importance of water while strengthening collaboration among organizations, corporates, designers/innovators, NGOs and schools. We believe World Water Day is a good beginning for more following-up activities and projects in each sector. The United Nations General Assembly declared 2013 as the United Nations International Year of Water Cooperation, this event focused on the theme of "Water Cooperation" through cross-industry (inter-disciplinary) approach to highlight the integration of technology.